Today, it launched a new tour based on the history of the Troubles. The tour concludes at the jail and includes a bowl of stew and a pint of Guinness at Cuffs Bar & Grill before beginning the last leg of the tour through the prison to hear the stories of the security forces. 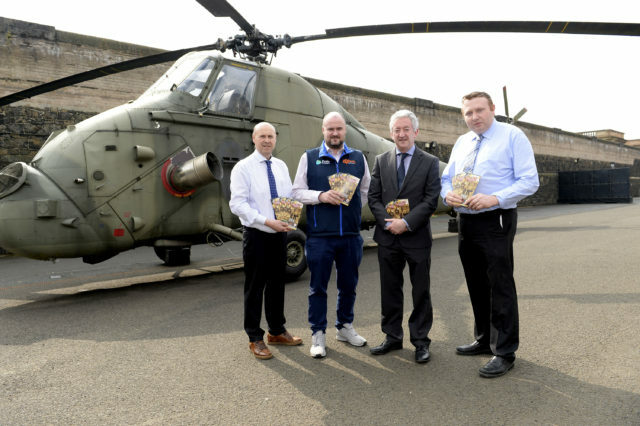 Once a common sight in the skies above the region as the “workhorse” of the British armed forces transporting troops and VIP visitors, the helicopter was given to the jail by the RAF earlier this year.